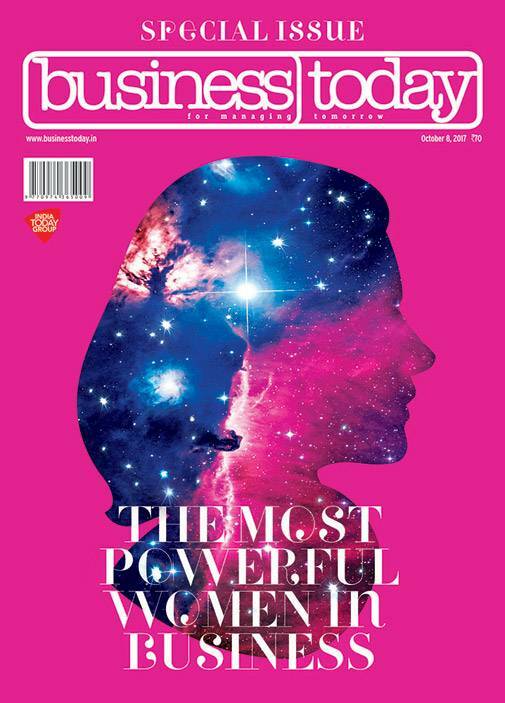 This refers to your special issue on the Most Powerful Women in Business (October 8). All the 30 winners in business category and 23 winners in the impact category deserve to be included in your list by virtue of 3Ps - Performance, Perseverance, and Pragmatism. Their achievements are case studies to motivate the younger generation which needs to learn about being an achiever and what qualities make one really powerful. Hope the present generation takes a lesson from these powerful women and makes an honest attempt in the highly competitive times of today. Your cover story goes to show that Indian women are no more mere show-pieces to adorn the drawing rooms of their homes. Over the last decade or so, they have carved a distinct niche for themselves in a male-dominated world. In spite of gender bias, we need to respect, and express our love towards such great entrepreneurship icons and join in the celebrations for women's economic, political and social achievements. It is a collectors' issue. Kudos to the Business Today team for a paisa vasool issue. This refers to your special issue on the Most Powerful Women in Business (October 8). It was a brilliant enumeration of successful business entrepreneurs and social activists. The editorial has rightly indicated the realistic picture of diversity and appalling discrimination of Indian women. These queens of talents and expertise have shown the way to others too, to break through the cordon of gender-bias to attain equality on all spheres. Women employees in many organisations still face the discrimination in job responsibilities and their promotion hits the "glass ceiling". In the unorganised sector, wage parity must be enshrined in our statutes as that will give economic freedom to the marginalised poor women who eke out their livelihood being paid unequal remuneration for the same job and task. Education is the right and ideal channel which has the grand power for awakening and promoting the retention of their gender equality on all fronts without exception. The developmental programmes towards women are still thematic and they are yet to enable them a decent living. Only inclusive organisational policies and social practices will help India Inc and Indian organisations compete with global competitors and India with other nations. This refers to your article on microfinance companies (Micro Shift, October 8). Banks like IDFC Bank, Kotak Mahindra Bank and IndusInd Bank are absolutely right to acquire different microfinance firms. It gives them the rural and semi-urban reach which could also have been possible with their existing business model, but had to incur huge cost to reach to those customers. The biggest attraction for these banks is the high interest rates in microfinance lending. But there is a flip-side too, which should not be overlooked. First and foremost is high risk associated with these lending, so these banks need to ensure that existing employees of these microfinance companies, which have been part of acquisition, are part of future strategy in this product as they know the client segment better than anyone else. So, ultimately it is optimum utilisation of the existing resource which can help these private banks deriving maximum returns from the microfinance portfolios.